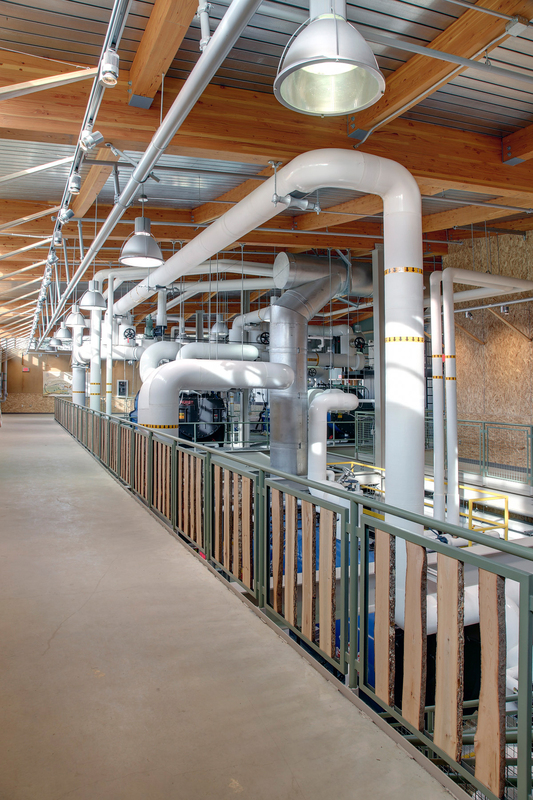 This new central heating facility will burn woodchips and will reduce greenhouse gas emissions by a third to a half compared to the oil-fired boiler it replaces. 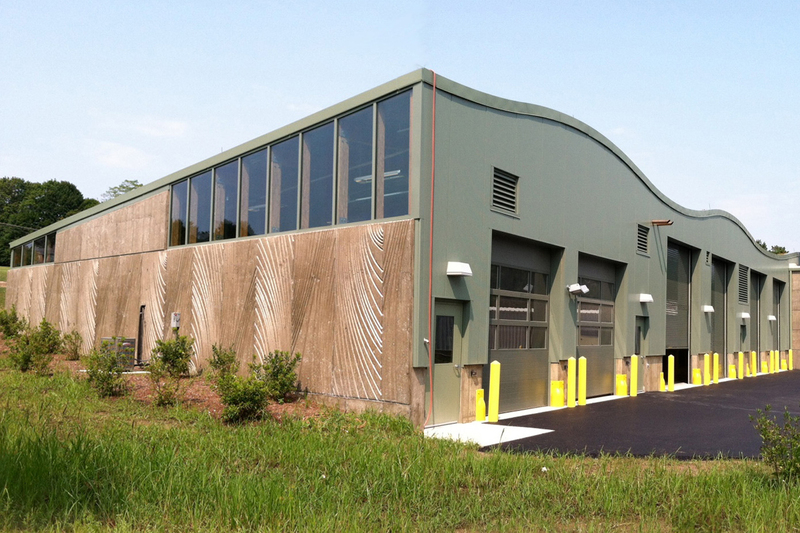 Two Messersmith biomass boiler units, which operate at 80 to 82 percent efficiency, can generate 14 million BTUs per hour burning waste wood acquired from sustainably harvested, local forests that are certified by the Forest Stewardship Council. The woodchips will replace some 150,000 gallons of fuel oil per year and cut emissions overall, most dramatically sulfur dioxide by more than 90 percent. 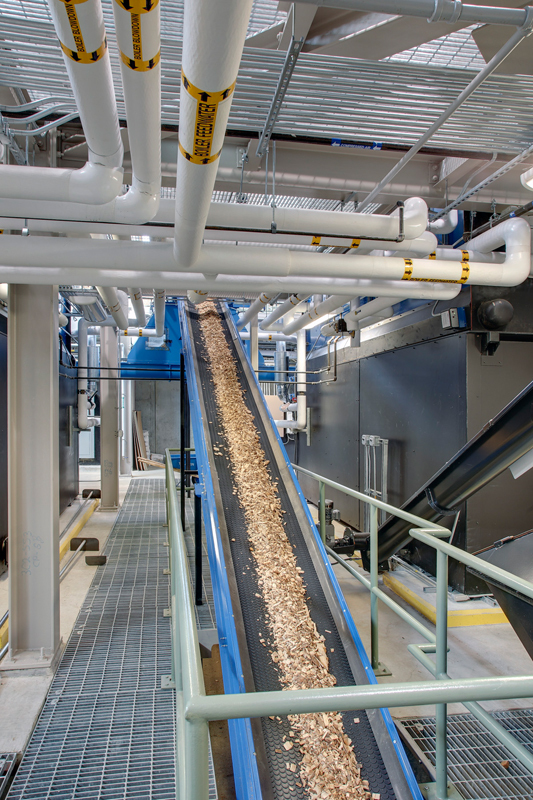 Waste ash from combustion is collected for use as fertilizer, and an electrostatic precipitator removes 95 percent of particulate matter from emissions. The buildings low profile and an undulating, sloped green roof allow it to blend with its surrounding landscape. 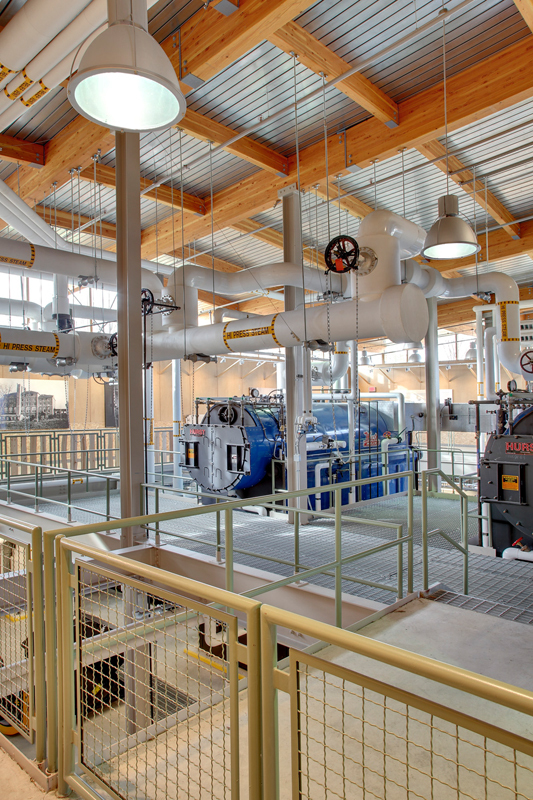 The plant will be one of only three LEED certified power plants in the country. 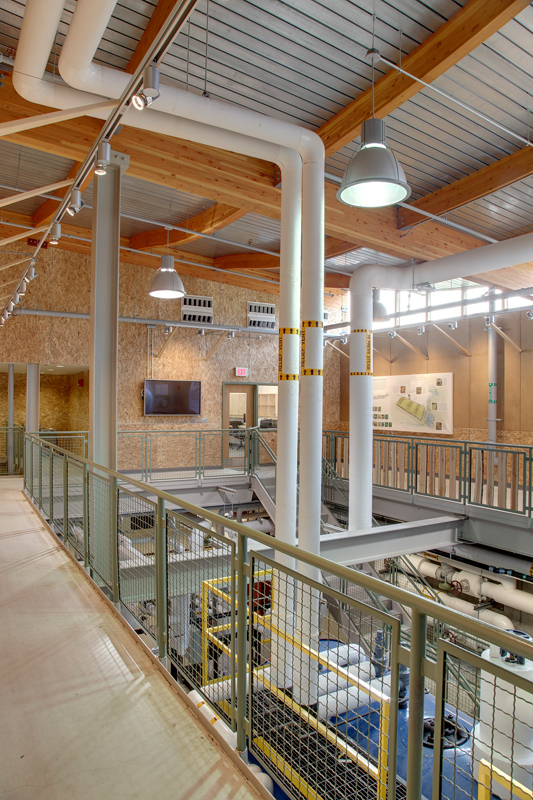 Among the building sustainable features are a vegetated roof of sedums that will combine with a bio-swale/rain garden system to absorb rainwater and filter runoff before returning it to the ground; a renewable, laminated wood structural system; water-conserving plumbing fixtures; use of local materials with a high recycled content; an abundance of daylight; and highly efficient mechanical systems, lighting systems, and exterior skin.